BMW and USA Bobsled/Skeleton Set Their Sights on XXIII Olympic Winter Games in Pyeongchang, South Korea. BMW of North America and the USA Bobsled/Skeleton (USABS) are back together in an attempt to recapture the success they enjoyed at the Sochi 2014 Winter Olympic Games when the USA Bobsled Team brought home three medals in a BMW-designed sled. BMW of North America, the Official Mobility Partner of the United States Olympic Committee (USOC), congratulates the members of the U.S. Paralympics Track and Field for their valiant, medal-winning performances at the Rio 2016 Paralympic Games. As part of its sponsorship commitment, BMW has applied its resources and technologies to advance the training and performance goals of Team USA. BMW of North America, the Official Mobility Partner of the United States Olympic Committee (USOC), today announced the official unveil of its new racing wheelchair designed for the U.S. Paralympics Track and Field Team. BMW of North America, the Official Mobility Partner of the United States Olympic Committee, today unveiled its BMW Performance Team for the Rio 2016 Olympic and Paralympic Games. 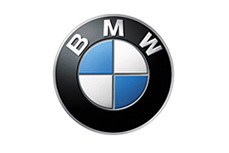 BMW of North America, the Official Mobility Partner of the United States Olympic Committee (USOC), today announced its plans to develop a new racing wheelchair for use by athletes of the U.S. Paralympics Track and Field Team in the Rio 2016 Paralympic Games. As part of its sponsorship commitment, BMW is applying its resources and technologies to advance the training and performance goals of Team USA..
BMW of North America, the Official Mobility Partner of the United States Olympic Committee (USOC), would like to congratulate the U.S. men’s and women’s two-man bobsled teams for their medal-winning performances at the Sochi 2014 Olympic Winter Games. BMW of North America, the Official Mobility Partner of the United States Olympic Committee (USOC), will host members of the USA Bobsled & Skeleton Federation and U.S. Speedskating teams today at its BMW Welt facility at BMW Group’s headquarters in Munich as part of a “Good Luck” send off prior to the Sochi 2014 Olympic Winter Games. BMW of North America, the Official Mobility Partner of the United States Olympic Committee (USOC), today unveiled its BMW Performance Team for the Sochi 2014 Olympic and Parlympic Winter Games. BMW of North America, the Official Mobility Partner of the United States Olympic Committee (USOC), today announced that the U.S. Men’s Bobsled Team will race the BMW two-man bobsled for the first time at the FIBT World Cup in Igls, Austria this Saturday, Jan. 19. USA Bobsled & Skeleton and US Speedskating- BMW Motorsport Experience.